The Community Toilet Scheme enables local businesses like pubs, restaurants and shops, to work together with the Council to make more clean, safe and accessible toilets available to the public. Participating premises display a sticker in their window showing which facilities are available in those premises - Ladies, Gentlemen, baby change and whether these facilities are accessible. 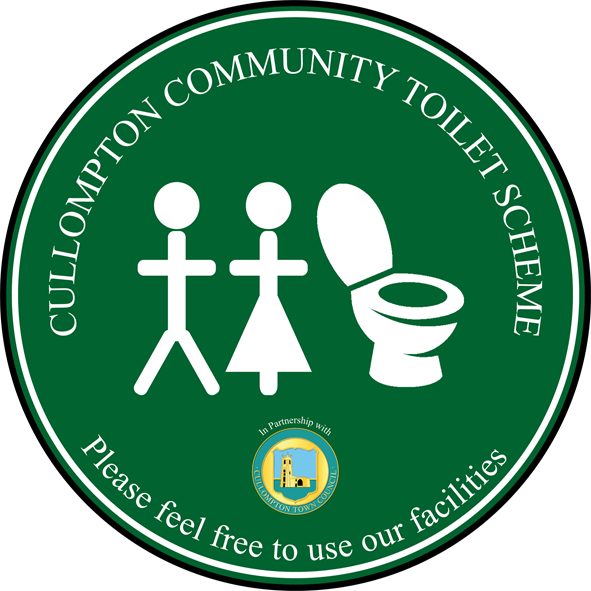 Members of the public can use toilet facilities during the premises opening hours and without the need to make a purchase. Businesses have the right to refuse entry in accordance with their policies. Stickers indicate which facilities are available at a particular business. 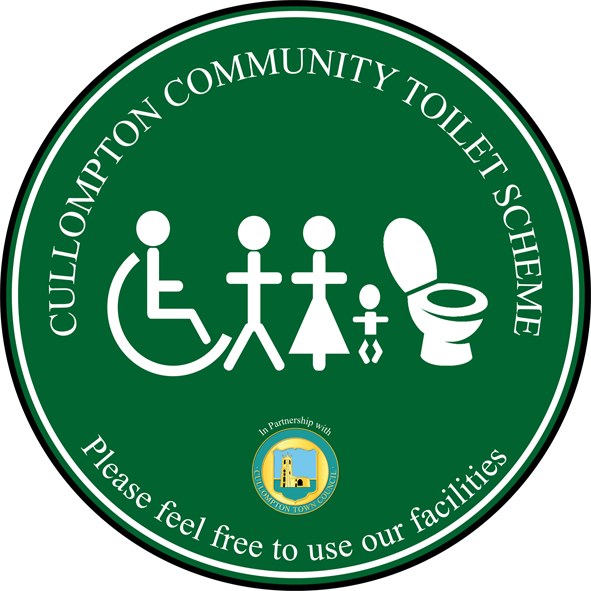 Public conveniences are available at Station Road although provision here has been reduced to a single, accessible, unit. The Town Hall toilets are available to the public when the hall isn't being used by a private hirer. If they are not available, signs will be placed on the main entrance doors of the hall. The Hayridge Centre, Costa Coffee, Tesco and The Little Bakery (All Grown Up). 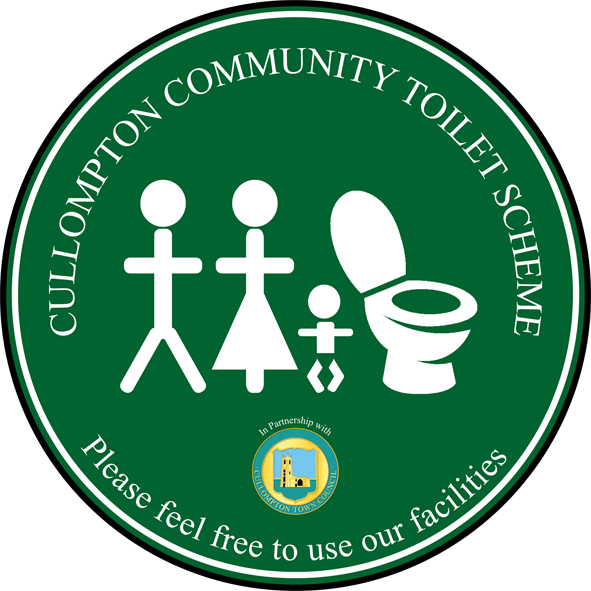 Look out for the stickers (see the right of this page) in the premises where the scheme operates. To find out how your business can join the scheme email the Town Clerk.